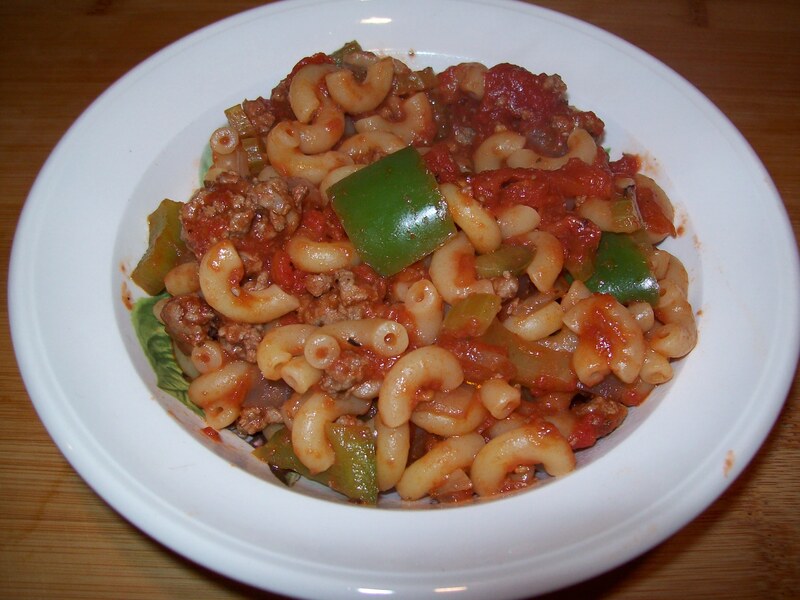 Everyone has their own comfort foods, I have many but one of my favorites is American Chop Suey. Last summer when out to lunch with my Brother and Nancy the special of the day was American Chop Suey both my brother and I let out a gasp and our minds were made up. It was a disappointment not what Mom used to make, the taste in my mind was not met. I believe Mike felt the same way. For years I have tried this combination and that never matching my mom who swore she did not remember it had been years since she had made it for us. Then one day I came real close and have stuck to it since changing it ever so slightly every time I make it since I cook from the gut. 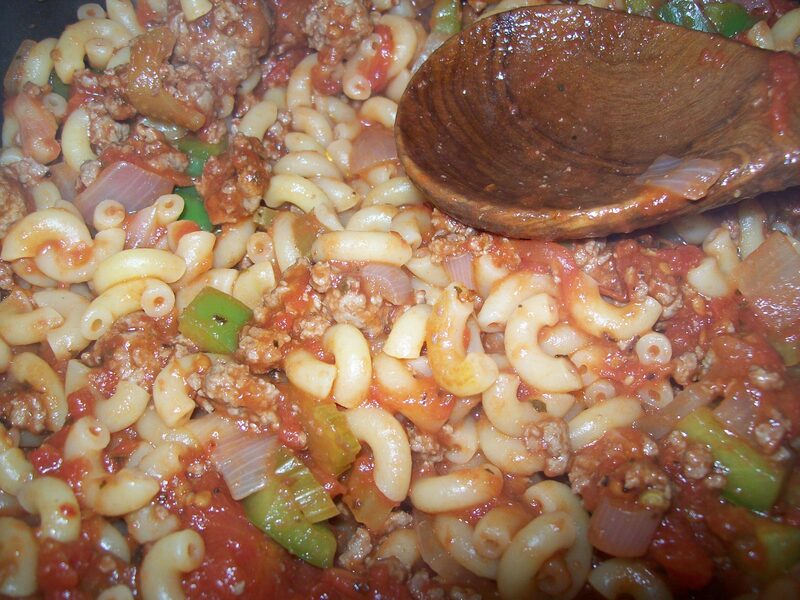 My wife is not a fan of American Chop Suey so it is not made that often but it was today. Oh ya read below this recipe see what I found. 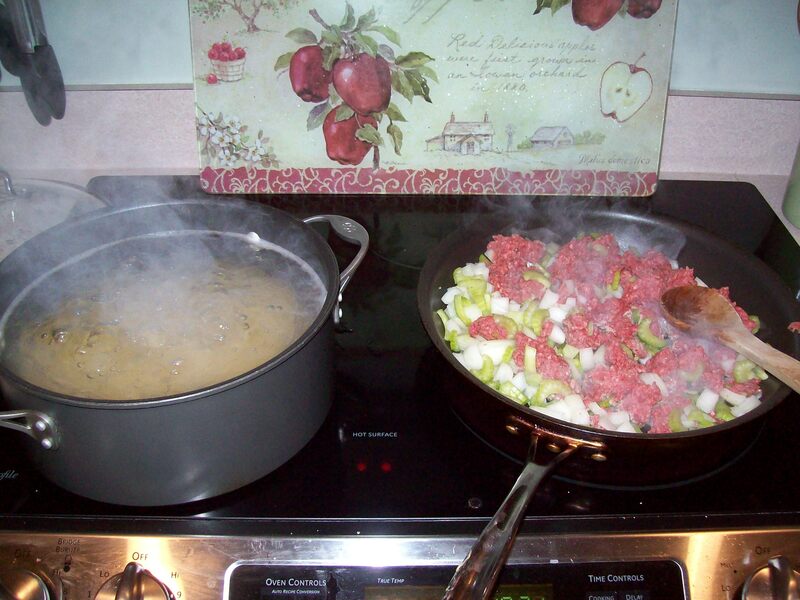 Mom passed in February and while cleaning out her condo my wife came across a little tin that had Mom’s recipes and there it was American Chop Suey. Now there is no way to know if this was what I had grown up with and how she may have morphed it but here is her recipe. Maybe someday I will try this but for now I really like mine. The index card had this information. 2 cups of elbow macaroni cooked 9 min and drained. Mrs. Lawrence (Harriette) Pearlman – anyone remember her? 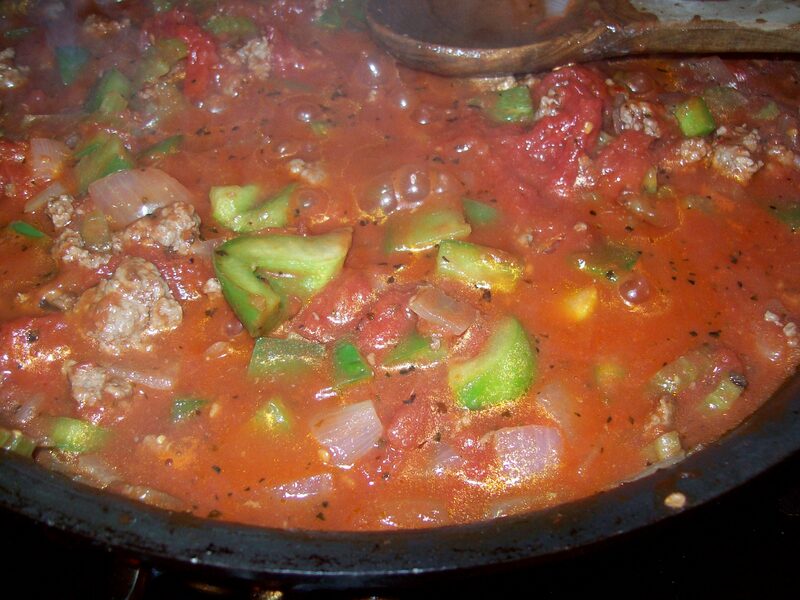 This entry was posted in Beef, Grains, Rice and Pasta, Meat and tagged American chop suey, comfort food, Crushed red pepper, tomato, Tomato sauce. Bookmark the permalink.